President Donald Trump is set to deliver a historic message to US allies in the Middle East. 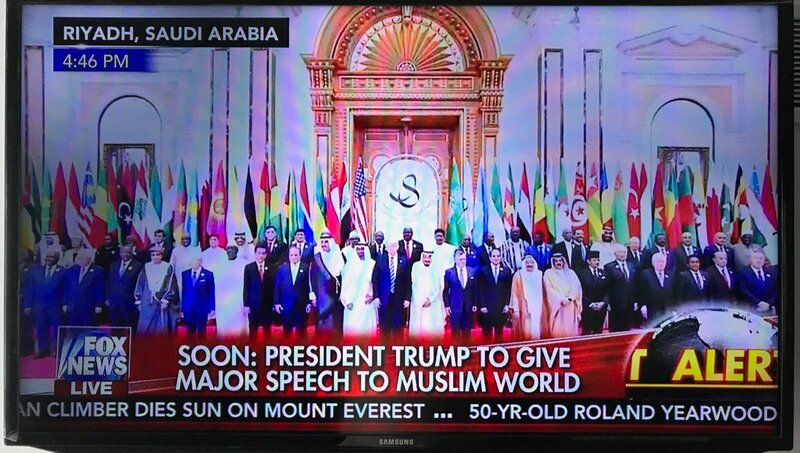 Top Arab leaders from 50 majority Muslim countries, including the Saudi, Egyptian and Jordanian leaders posed for a photo with the US president on Sunday before his speech in Riyadh. It will be hard for the liberal to spin this photo and historic event. Melania and Ivanka Trump are sitting with the President this morning.